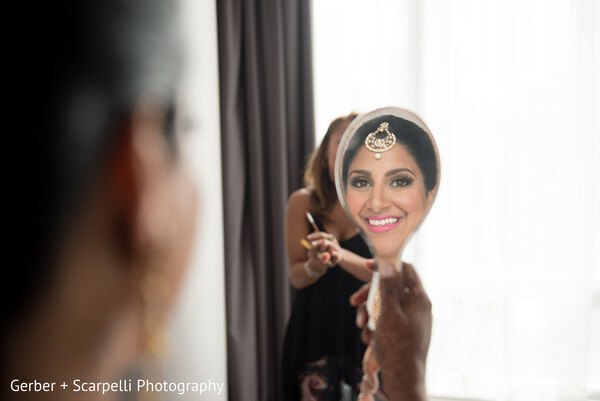 Today’s fusion Indian wedding celebration comes to us from the Windy City and is chock-full of glam wedding ideas. The festivities were in full swing as Maria Barerra and Jillian Strong from Perfect Hair Anywhere polished this gorgeous bride to perfection for her big day! 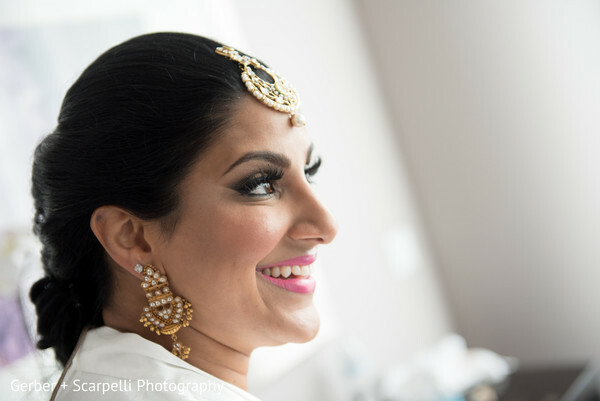 Maharani Reena made a dazzling vision in bold pink lips, lush lashes, and a glossy updo. 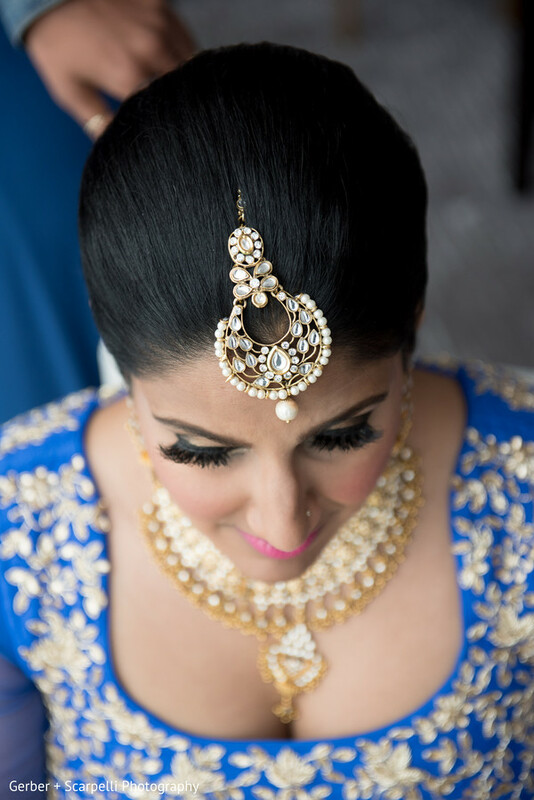 Combined with Midas inspired bridal jewelry, and a sweeping gold and navy lengha, she was the definition of elegance. 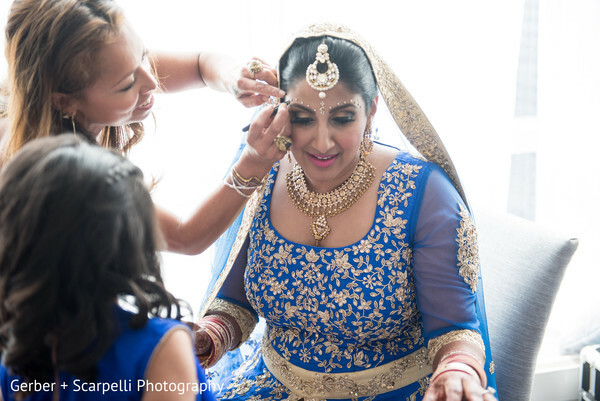 We are in love with her ceremony look, since we don’t often see tones of blue worn for this event. Kudos to Reena for being such a fashionista and thinking outside of the box, because we couldn’t be more in love with her ensemble. 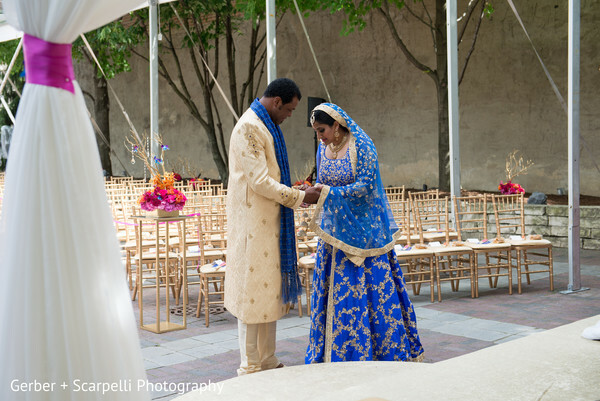 The bride and groom opted for a private first look at their gorgeous outdoor ceremony setup at the Chicago Illuminating Company which was adorned in sparkling finery by the creative minds at Shaadi Creations - Sonal Patel. 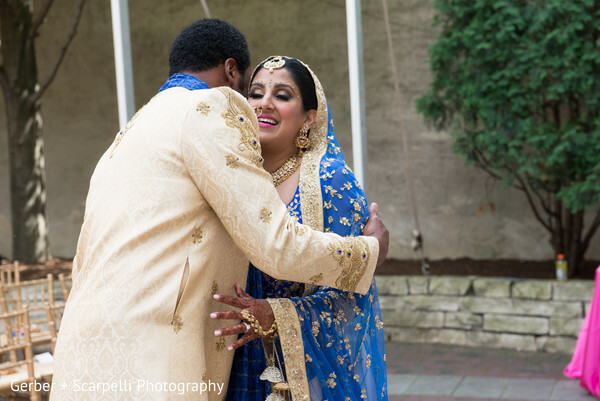 Pete was as dapper as could be in a champagne sherwani and the look on his face as catches a glimpse of his bride is priceless! Planning and design was spearheaded by Events by Nisar who ensured that all the events were streamlined seamlessly, while DJ Aumir Ahmad from Escape Entertainment was in charge of playing infectious melodies for each event. 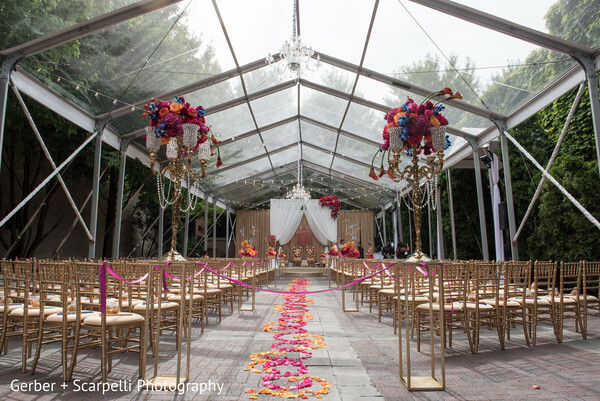 We have tons more pics awaiting in the full gallery snapped by Gerber & Scarpelli. Escape Entertainment L.L.C. 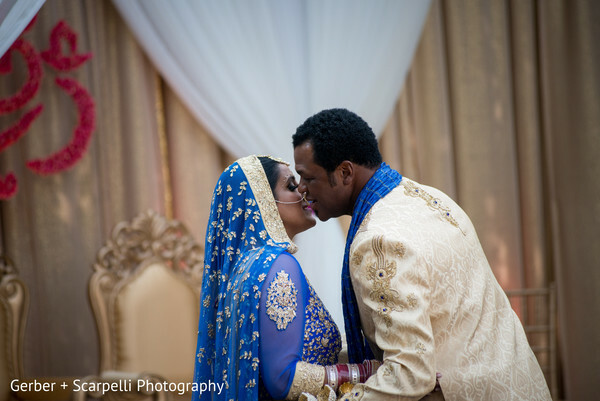 and Gerber And Scarpelli Photography are members of the Platinum Guide. Love what you see? Explore their portfolios.